The world may not have been enough for James Bond, but perhaps it will be for you as you sail from destination to destination on one of our spectacular world cruises. Leave behind your everyday life as you explore a variety of different locations within a range of different continents during an extended trip which will leave you relaxed, rejuvenated and enlightened upon your return. 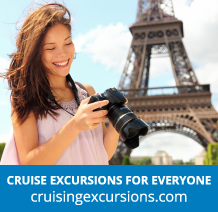 If, however, you are looking for a much shorter option, why not check out the various mini cruises that we have available.